Similar guest list conundrums arise, but Xander's hospitable nature has him expanding the categories of species he will invite. Eventually, all creatures are invited to Xander's party, even the humans at the zoo. Hanna’s Comments: Animal taxonomy (how species are organized) is explored throughout this delightful story so your children might learn a little science while hearing about being more inclusive and hospitable. The author also offers a note at the end with some history about animal taxonomies. For these reasons, this book would be a wonderful part of an elementary science lesson on animal classification. Homeschools or private schools could connect this story to The Parable of the Banquet Guests or the spiritual practice of hospitality. It would be an excellent read-aloud in a worship service, especially when hospitality is the theme. Point out how Panda is also using his empathy skills, an important part of loving neighbors as directed in the scriptures. Idea(s) for Application: Read this book in a lesson or as part of a sermon on the importance of inclusion, avoiding exclusive practices, and practicing hospitality. Summary: The dog in this story is bad, sooo bad, but lovable and loved unconditionally. The desire to please, to do the right thing, is evident but the follow through? Not so much. Running away is a major issue with this little guy. that lead to some disgust and further chasing. The dog's master overhears his parents' plans to make a change. Bargains follow and all are sad. Hanna’s Comments: This tale of unconditional love is from a father (words) daughter (illustrations) duo. Makes sense! 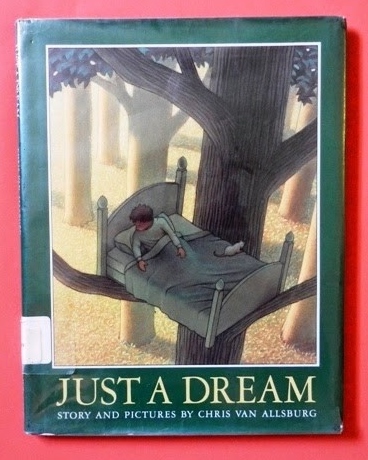 There are lots of picture books that involve unconditional love, but this one has the added benefit of a plot with some definite connections to the parable of The Prodigal Son (i.e. the running away and the big embrace upon being found). Also, there’s the overall sense that this little pup wants to please its master but just can’t seem to overcome urges to make messes and run away. I can relate! In Paul’s Letter to the Romans, similar frustrations are confessed. Paul doesn’t explain what behavior he wants to avoid, but it sure is nice to know that, even a man who saw Jesus in a vision, never stops struggling with his own temptations. Idea(s) for Application: Read this adorable book to a group of children in your faith family who are learning about God’s unconditional love, Jesus’s parable of The Prodigal Son, or Paul’s frustration with his own behavior in his Letter to the Romans (listed above). Summary: This beautiful picture book is made fabulous by pairing a simple tale with stunning illustrations. Nelson begins with a simple situation: tomato, carrot, and cabbage seeds are planted by a rabbit and a mouse. they patiently wait while their harvest grows and grows. until some neighbors drop by. They're not particularly subtle about what they want. “into a heap of trouble” and mess. and then decides to plant another kind of seed, a seed of kindness. and grow while all patiently tend and wait, forming a community. especially the kindness and the community. Hanna’s Comments: I just read in Anne Lamott’s new book Hallelujah Anyway: Rediscovering Mercy: “God is the welcome and the welcomers” says a priest she knows. So true! Hospitality and generosity are holy acts, commands from the Hebrew scriptures and fruits of The Holy Spirit in The New Testament. In this big beautiful book, these holy endeavors bring about a surprising level of joy and communion as parts of the tasty harvest. Kadir Nelson is responsible for the illustrations (and sometimes the words too) in some of my favorite PBT books. Check out Nelson Mandela [here], Henry’s Freedom Box [here], and He’s Got the Whole World in His Hands [here]. Idea(s) for Application: Read this book to a group of preschoolers or young elementary students in a lesson on kindness, generosity, and hospitality as faithful practices and fruits of The Holy Spirit. Summary: This story focuses on Crazy Horse’s devotion to his Lakota tribe, the threat they faced as settlers moved into their lands, and the guiding vision he received as a young man. In the 1840s near the Wyoming & South Dakota border, Crazy Horse was born a solemn child with curly hair so they named him Curly. Strong and wiry, Curly was an early leader who listened carefully and told his peers, "Follow me. If we're brave we can help our people." At age 11, Curly surprised everyone by taming a wild pinto so his father gave him the horse. When hunting buffalo at age 13, he swiftly felled a huge buffalo in the middle of the herd with just one arrow. Then he gave the buffalo to all in his camp who had no one to hunt for them. During his childhood, the American army built a fort in Lakota land, declaring it would keep the peace. After a warrior killed a destructive cow that had wandered into the Lakota camp from the fort, the Chief offered a mule and 5 horses to compensate. The offer was disregarded, instead the Army killed the chief. After witnessing this event, Curly left in haste for a vision quest without the expected preparations from the Holy Man. Tying his horse's legs to prevent it from wandering, Curly then climbed into a pit. There he "prayed for strength to help his people." After three days, no vision had come. He climbed out of the pit and collapsed near his horse. His father found him and scolded him for being unprepared and discounting the wisdom of the elders. Meanwhile, Curly saw an eagle but held his vision in secret because of the scolding he received. Three years later, Curly had become much quieter, more serious, and more generous. When his father asked about his vision quest, Curly described the eagle. His father explained that Curly would become "the first to defend your people" and must "keep nothing for yourself." And he gave Curly his own name, a practice of honoring. Curly would be called Crazy Horse and known for his great bravery and loyalty to his people. The story of Crazy Horse continues in a lengthy Author’s Note in the back. Here you’ll read about some of his other memorable deeds and his martyrdom. Hanna’s Comments: Christians observe Good Friday today. Each year, I struggle with what kind of book to feature at PBT on such an important day. Today I chose a story about a man whose life has obvious connections to Jesus. That’s why I told the summary above in the manner I did, highlighting biographical milestones that had some connection to Jesus life. Direct your audience to look broadly for character traits and aspects of power, not story details. In some cases, encourage your audience to find the differences. I don’t equate Crazy Horse to Jesus, but I do think it’s good to know when humans approach the level of humility, self-giving love, and courage of Jesus. The story of Crazy Horse is not well known. The little I knew of him before reading this book I learned at the monument being built in his memory, an amazing feat in progress that also isn’t well-known. If you find yourself in South Dakota, perhaps to see Mt. Rushmore, don’t miss The Crazy Horse Memorial. It’s nearby. Don’t wait for it to be finished; it will likely not be finished in my lifetime. It is astonishing for its size; Mt. Rushmore would fit only in the head of the huge Crazy Horse of this memorial. See it and read about the memorial and why it is being built without government money [here]. Scripture Connections: There are numerous connections to Jesus such as Crazy Horse’s political concerns for his people, his humility, his vision quest, and his martyrdom. You might find connections to other biblical figures such as Moses and John the Baptist. Idea(s) for Application: Read this book or use Crazy Horse’s story in a lesson or sermon, making connections to Jesus or another man of God. Consider telling about The Crazy Horse Memorial as well.